Are Prepaid Credit Cards Good for Teens? Prepaid cards can be the perfect gift as well as an excellent tool to help you get started with credit and manage your finances. Gift Giving - Prepaid gift cards such as those offered by American Express and Target can be the perfect gift for family, friends and business associates. Convenience - Prepaid cards can provide a convenient way to pay for everyday expenses such as phone charges and gasoline. Some prepaid cards like the Walmart MoneyCard even let you directly deposit your paycheck onto the card so that the funds are immediately available for your use. Building Credit - Reloadable prepaid credit cards can be an excellent way to demonstrate how you handle credit and make timely bill payments while you build or rebuild your credit history. Budgeting - Prepaid cards can be effective budgeting tools in special situations such as teen spending and international travel. 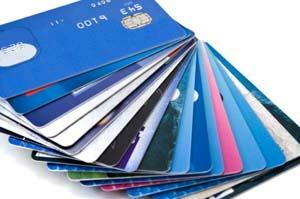 LoveToKnow Credit Cards can help you research the pros and cons of giving and using prepaid cards. Informative articles provide you with detailed information so that you can compare the features, benefits and costs of various cards. You can learn how prepaid cards differ from credit cards and debit cards so that you can decide which type of card you should consider in your situation. Informative articles about prepaid cards, written by financial researchers and experts, will give you the information you need to make an informed decision about what types of prepaid cards to give as gifts as well as which types of prepaid cards can become valuable tools in your financial portfolio.